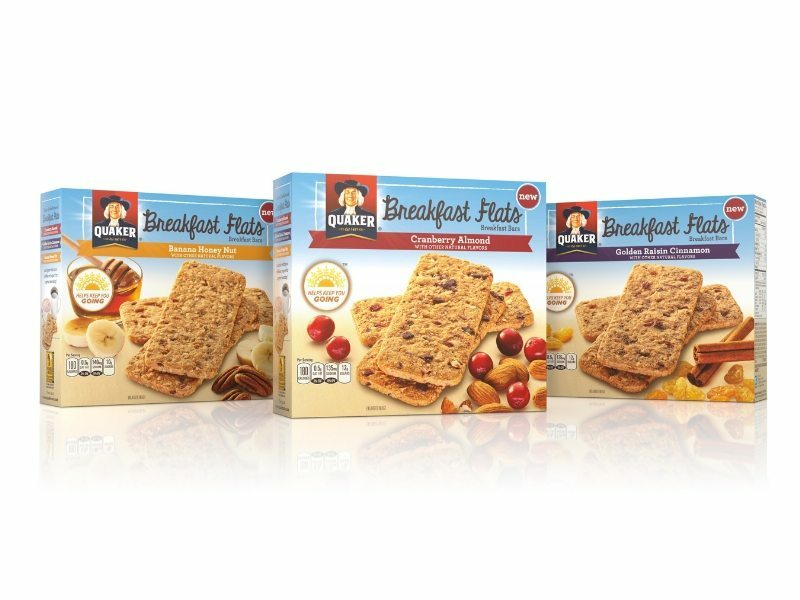 The Quaker Oats Company has launched Quaker Breakfast Flats, which are crispy baked snack bars that contain oats, fruit pieces, nuts, as well as flax and sunflower seeds. Each serving contains three flats for less than 200 calories per pack and 18 g of whole grains, offering seven grams of total fat per serving with no artificial flavors or added colors. Quaker Breakfast Flats come in three delicious flavors including Cranberry Almond, Banana Honey Nut and Golden Raisin Cinnamon. Each box of Breakfast Flats contains five portable packs of three crispy bars each with a convenient pull-out tray for a suggested retail price of US$3.49.